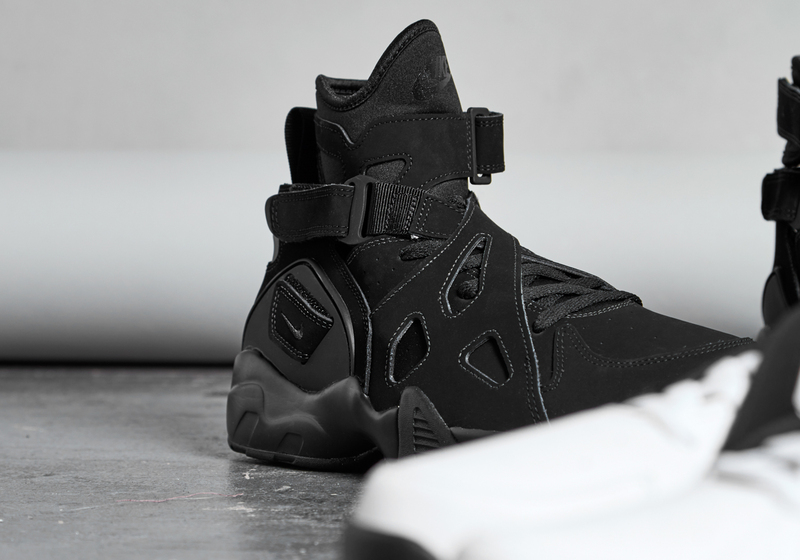 Returning this year for the first time in over two decades, the Nike Air Unlimited is back in both it’s OG form alongside a solid black number. Spending it’s life on the court on the feet of Jason Kidd, Grant Hill (before his move to Fila) and David Robinson, the Unlimited was fortunate enough to have been created during the glory years of Nike Basketball design. 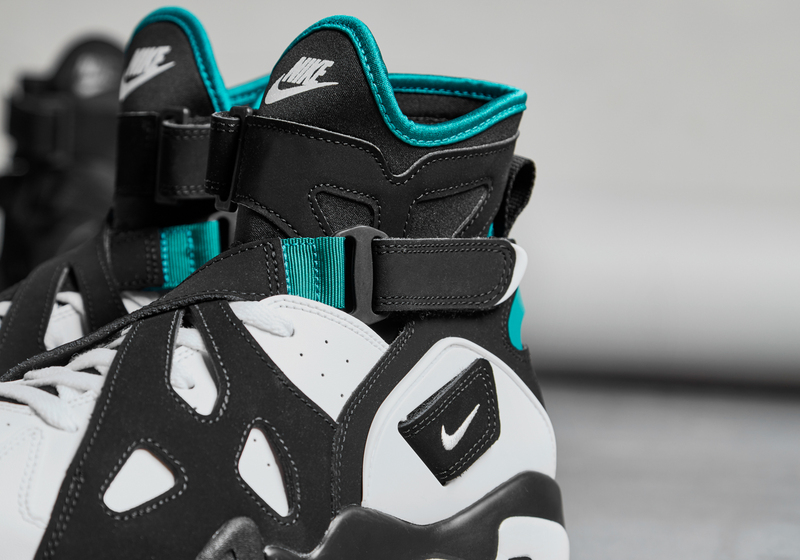 Some incredible shoe’s came out during the mid-90’s period including the Uptempo series, Dennis Rodman’s NDSTRKT variations and of course Gary Payton’s ‘Glove’. Visually the Unlimited appears to have many different sources of inspiration within it’s DNA. 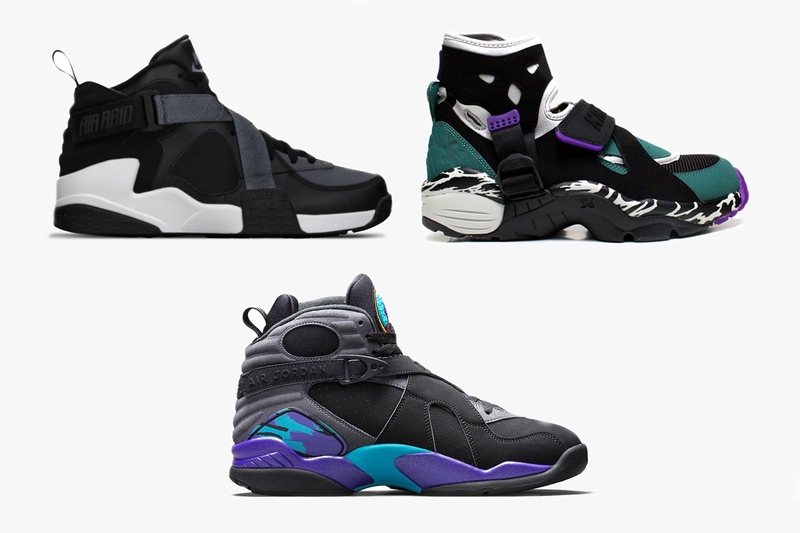 A few obvious references seems to be 1992’s Air Raid, 1993’s Air Carnivore and Air Jordan VIII. 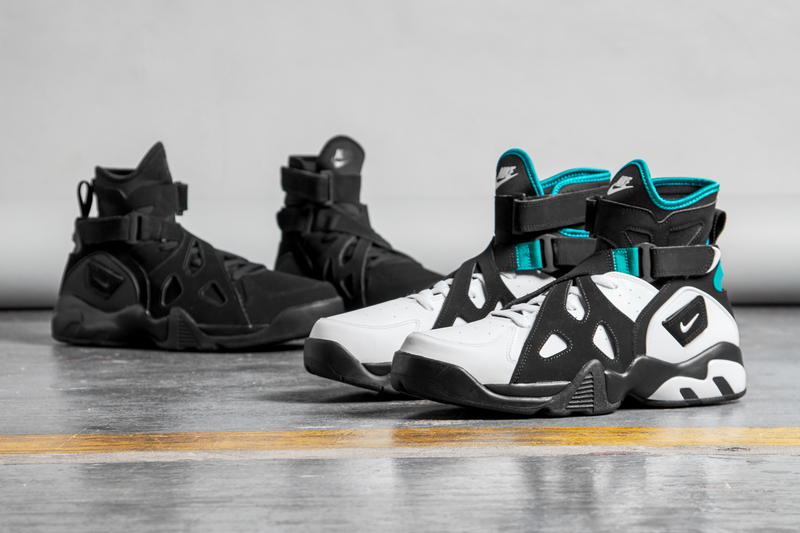 The use of the crossover straps combined with an extended neoprene sockliner ensured adequate lockdown to avoid rolling your ankle on a quick turn and keep your feet in check inside the shoe. 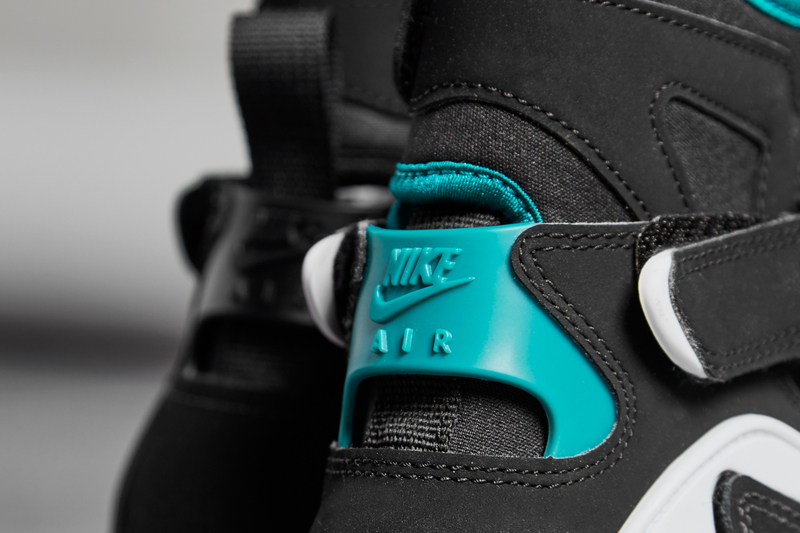 Recently, the shoe has seen a few monotone colour and material variations available at NikeLab level, alongside a collaboration with Parisian menswear boutique Pigalle earlier in the year (who coincidentally also worked on the Air Raid in a previous collection), but this is the first time we’ve seen it return in all it’s OG Emerald glory. For those more akin to a darker palette, there’s also a full blacked out version that strips back any signs of colour.